What is the Totoro no Furusato Foundation? Located about 40km (24 miles) from the Tokyo metropolitan area, in an area overlapping Tokyo and Saitama provinces, Sayama is a lush hill of greenery, encompassing 3500ha (8650 acres) measuring about 11km (6.9miles) East to West, and 4km (2.5miles) North to South. The vast woodland area, which includes two reservoirs, Lake Sayama and Lake Tama still maintain an old-world charm. Seen from above, the Hills resemble a small green island in the middle of a metropolis. Here, farmland, rice fields, and wetlands, as well as its surrounding woods maintain a timeless look of the past. 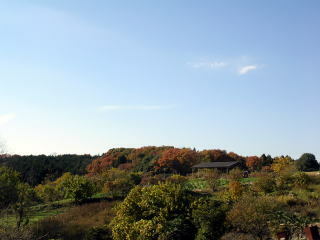 This type of habitat is called “Satoyama” and has been developed all over Japan with the primary objective of farming. Satoyama is home to a diverse array of life, and has created several unique natural habitats. In Sayama Hills 1400 types of ferns and other seedling plants, 19 mammals, and over 200 different species of birds have been identified. In addition, 2500 types of insects, as well as frogs, snakes, and salamanders (Hynobius tokyoensis) call this Satoyama its home, making its moniker “The treasure chest of nature” much appropriate. People have inhabited the area since Japan’s Paleolithic age, over 10,000 years ago. 235 archaeological sites have been confirmed in the Hills, making them valued cultural assets. 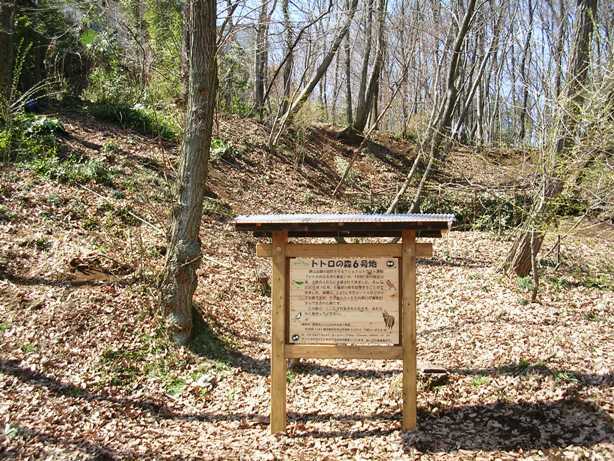 Biocultural preservation efforts at Sayama Hills have been in place since the 1970s. As a result, most of the natural habitats in the hills have been protected. However, due to urban and leisure facility development, destruction of the habitat, through deforestation and illegal dumping, is clearly visible. 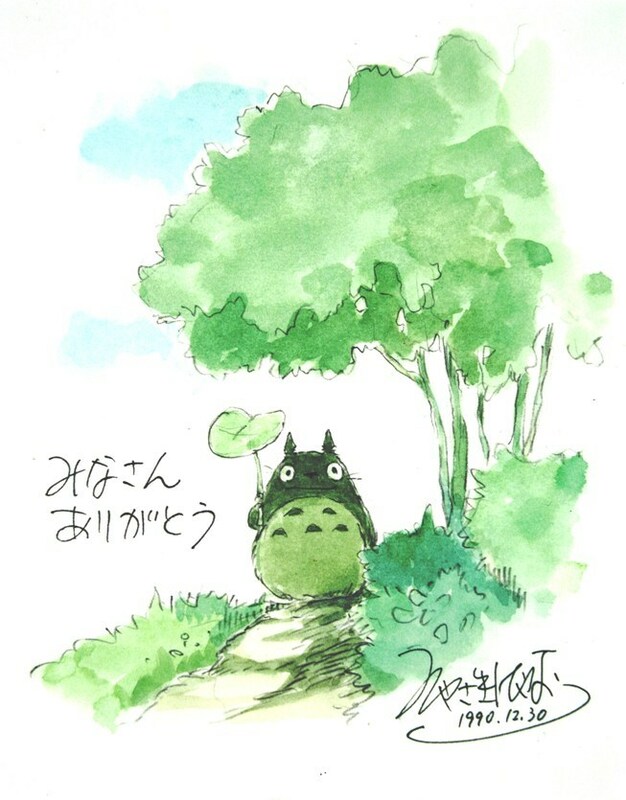 In April of 1990, with the objective of preserving the lush nature of Sayama Hills to future generations, the National Trust of Totoro no Furusato was born. Due to the efforts of 5 initial contributors, including film director Hayao Miyazaki, a large amount of donations were received from all across Japan. Sayama Hills is known as the inspiration of Mr.Hayao Miyazaki’s animation masterpiece, “Tonari no Totoro (My Neighbor Totoro, 1988)”. The Trust Fund was named in its honor. In August of 1991, the first land acquisition “Totoro no Mori (Totoro’s Forest) #1” was made with the used of donated funds. “Totoro no Mori #2” was acquired in April 1996. In May of 1996, a membership club system that would help fund and support our efforts was established. At the same time, we began publication of the newsletter “Totoro no Mori kara (From Totoro’s Forest)”. In April of 1998, The National Trust of Totoro no Furusato was incorporated as the “Totoro no Furusato Foundation”. In later years through October of 2003, 4 more land acquisitions were made, for a total of 6. In 2002, we were awarded “ Environment for Tomorrow Prize- Special Award for Forest Heritage-” by the Asahi Shimbun Company. The prize money of 1 million JP Yen from the award was used to purchase equipment and educational materials for nature observation. We began a program to lend these materials to schools. In 2006, we were bestowed with the City of Kitakyushu’s Environment Award. a. National Trust Activities: Until March of 2015, through the use of donated funds we have acquired 29 plots of land, a total of 53350 square meters that we have named “Totoro no Mori”. Additional acquisitions are planned. b. Preservation Activities: To preserve the lush natural environment, we engage in discussions and consultations with municipalities and companies, as well as collect information toward conservation of Sayama Hills. c. Publicity Efforts: To educate and inform people of the natural and cultural significance of Sayama Hills, we publish newsletters and manage a website, and operate events such as “Totoro no Furusato Ohsouji (Totoro’s Clean Up)”. e.Satoyama Management Activities: We operate various activities to preserve the greenery and landscape of the marshland and woods of Sayama Hills. Volunteer groups maintain the land acquired through the trust activities, research is conducted into ways of preserving Satoyama, and events to reinvigorate local farming, such as “Furusato Nogyo Taiken (Experience Farming at Home)” are hosted, with local citizens. f. Environmental Education Activities: We host environmental education activities to broaden society’s understanding of the importance of preserving the Hills. This is done through assisting with teachings at schools, hosting seminars for teachers, planning and hosting environmental education programs in the Hills, etc. ・ Monetary donations : Your donations toward acquisition of new land sites and other activities of the Foundation are graciously accepted. .